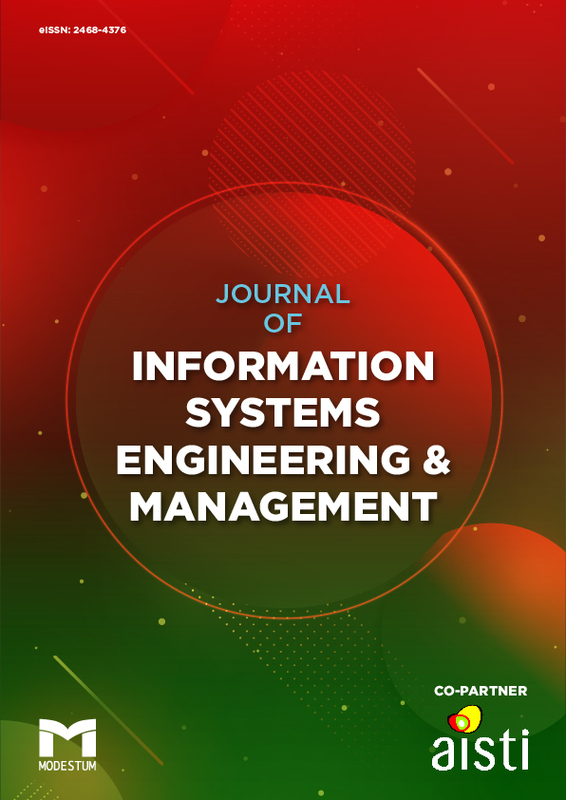 Journal of Information Systems Engineering & Management will be published by Modestum Ltd. starting from the 1st of January 2019. Journal of Information Systems Engineering & Management, Volume 4, Issue 1, Article No: em0085. Poultry farming is very important sector in Tanzania because it improves human health and when sold provides income, it supports the livelihoods of 3.7 million households in Tanzania. Poultry farming sector is facing a challenge of lack of market information, also absence of well-coordinated system which is harmonized between stakeholders. Both poultry farmers and buyers rely on informal market information. The findings form this study shows that key market information required by poultry farmers and buyers are price, buyer or farmer location, Poultry kilograms, amount of poultry needed by buyers, amount of poultry products needed by buyers, types of poultry needed by buyers and kind of poultry products needed by buyers. This paper discusses this key market information required by poultry farmers and buyers, also the challenges faced due to lack of market information. In order to disseminate the identified market information requirements and to overcome the mentioned challenges the web based platform has been proposed as a solution to overcome the market information gap. Abate, T., Berhanu, T., Bogale, S. and Worku, D. (2003). Potential of forages legumes to replace the traditional fallow-barleyrotation system in the cool - high land of bale. Challenges and Opportunities of Livestock Marketing in Ethiopia. In: Proceedings of the 10th Annual Conference of the Ethiopian Society of Animal Production (ESAP) Held in August 21-23. Addis Ababa, Ethiopia., 265–268. DePersio, G. (2015). Simple Random Sampling and Systematic Sampling. Simple Random Sampling and Systematic Sampling, 3–15. El-obeid, S. (2012). Poultry producers’ perceptions of changing market conditions, (745). Goromela, E. H. (2009). Feeding and Management Strategies for Rural Poultry Production in Cetral Tanzania. Hmad, S. H. a. (2005). Marketing of Commercial Poultry in Faisalabad City (Pakistan). Journal of Agriculture & Social Sciences, 1(4), 327–331. Hurrissa and Eshetu. (2003). Challenges and Opportunities of Livestock Marketing in Ethiopia. Proc. 10th Annual Conference of the Ethiopian Society of Animal Production (ESAP), 265–268. International, W. (2010). Partnership for Safe Poultry in Kenya (PSPK) Program Value Chain Analysis of Poultry in Kenya (PSPK) Program. Value Chain Analysis of Poultry Tanzania. Kanpur Shalabh. (2010). Simple Random Sampling, 1–23. Kisungwe, I. (2012). Commercialization of Chichen Production and Marketing in the Central Corridor. SLC Sector Development Strategy, 1–14. Mammo, Y. (2015). ICTs in Linking Farmers to Markets: Innovative Mobile Applications and Lessons Learned from the Past and the Future. Media, E. (2012). Effective Use of Radar Charts, 14(4), 22–28. Mohammad Khairu Islam, Mohammed Forhad Uddin, M. M. A. (2014). Challenges and Prospects of Poultry Industry in Bangladesh. European Journal of Business and Management, 6(7), 116–127. Msami, H. (2007). Poultry Sector Country Review: Tanzania. FAO Poultry Sector Country Review, 61. Mussa, M., Kipanyula, M. J., Angello, C. and Sanga, C. A. (2016). Evaluation of Livestock Information Network Knowledge System (LINKS) based on User Satisfaction Definition of Information System evaluation. International Journal of Information and Communication Technology Research, 6(8), 115–130. Njombe, A. P., Msanga, Y., Mbwambo, N. and Nemes, M. (2011). United Republic of Tanzania Ministry of Livestock and Fisheries Development the Tanzania Dairy Industry : Status ,. 7th African Dairy Conference and Exhibition, MovenPick Palm Hotel, 25-27 May 20111, (May), 25–27. Sadiq, M. (2010). Modeling the Non-functional Requirements in the Context of Usability, Performance, Safety and Security, (March), 73. Temba, B. A., Kajuna, F. K., Pango, G. S., & Benard, R. (2016). Accessibility and use of information and communication tools among farmers for improving chicken production in Morogoro municipality, Tanzania. Livestock Research for Rural Development, 28(1). Washington, B. (2010). Open Data Kit, 3–4. Journal of Information Systems Engineering & Management, Volume 4, Issue 1, Article No: em0087. On Friday October 21, 2016 there was a Distributed Denial of Service (DDoS) attack that took place on a DNS provider. Its objective was against major websites such as GitHub, Etsy, Twitter, Netflix, and Spotify. This paper is created in order to utilize the Free and Open Source Software (FOSS) available online to identify, classify and remove malware from a compromised system. Presenting an in-depth security analysis of Mirai botnet, a malware that convert devices running Linux into remotely controlled Bots, especially IoT devices, all the compromised systems were used as part of the Mirai botnet for performing large-scale network attacks. The methods presented in this article are generic and can be used as part of an incident response strategy to mitigate any malware of the same nature. Database, C. V., Ok, C. V. And Clamav, T. (2007). Creating signatures for ClamAV, 1–20. ISO. (2011). ISO 27005:2011 - Information security risk management. Iso 27005:2011, 2011. MalwareMustDie! - Malware Research Group. (2016). National Cybersecurity and Communications Integration Center. (2015). Using yara for malware detection, (June), 2015. Provos, N. and Holz, T. (2008). Virtual Honeypots. Boston: Pearson Education. Suastegui, L. (2018). Detecting malware capabilities with FOSS: lessons learned through a real-life incident. In Information Systems and Technologies (CISTI), 2018 13th Iberian Conference on (pp. 1-5). IEEE. US-CERT. (2016). Heightened DDoS Threat Posed by Mirai and Other Botnets. Journal of Information Systems Engineering & Management, Volume 4, Issue 1, Article No: em0088. Globally, it is desirable to have fair and transparent student admissions into both public and private universities, colleges and schools. A case in point, in Tanzania 35% of students enrolled each year in higher level learning institutions and technical education are from Advanced Level (A-level) private schools. Of concern is that, this paper confirms and quantify that 93.5% of admissions into A-level schools were performed on paper based. Such admissions were characterized by multiple admissions, being costly, inconsistency, inaccuracy, and difficulties in following admission procedures. On the other hand, existing manual admission systems were considered unfair and not transparent. To mitigate these challenges a centralized web-based solution named Tanzania Central Processing Admission System (TCPAS) has been conceptualized to resolve the identified admission challenges. This paper presents on an ongoing research work aimed to address the challenges facing the current admission procedures of A-Level private schools in Tanzania. The proposed TCPAS is designed to be a web-mobile solution. The TCPAS tool is intended to reduce admission costs by reducing turnaround time for entire admission processes; encourage the use of paperless admission; control forgery over entry qualifications (certificates) during the admission process; has a centralized data handling capability; saves admission vacancies; and reach many geographically scattered applicants. Moreover, questionnaires were used to gather requirements from 150 respondents from the case study (Kilimanjaro region). Bailey, T. (2014). The role and functions of higher education councils and commissions in Africa: A case study of the Tanzania Commission for Universities. Hafalir, I. E. and Kübler, D. (2014). College Admissions with Entrance Exams : Centralized versus Decentralized ∗, 1–46. Judith, B. and Asein, E. (2007). Joint Admissions and Matriculation Board. Kapinga, O. (2016). Assessment of School Facilities and Resources in the Context of Fee Free Basic Education in Tanzania, 1–11. Ministry of Education. (2016). Annual Education Statistics 2014. National Bureau of Standard. (2017). 2012 Population and Housing Census Population Distribution by Administrative areas. NBS Ministry of Finance, 177, 180. TCU. (2017). Tanzania Commission for Universities Undergraduate Admission Guidebook for Higher Education Institutions in Tanzania for Applicants with Form Six and RPL Qualifications. UNDP. (2014). United Nations Development Program Country : Tanzania Project Title : Reducing Land Degradation on the Highlands of Kilimanjaro Region. United Nations Development Program, 1–67. Zhang, H. (2009). An Analysis of the Chinese College Admission System.